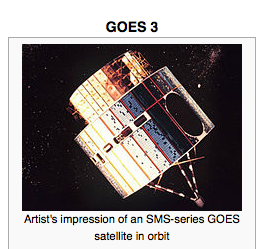 [SatNews] The oldest satellite still providing service is GOES 3, which was launched in June 1978 and still provides communications for the U.S. Antarctic Program. Space Systems/Loral (SSL), a leading provider of commercial satellites, today announced that it reached the milestone of 2,000 satellite years on orbit this month. With its first satellite that provided a full year service launched in 1966, SSL has provided more than 250 satellites to 43 different satellite operators in more than 15 countries around the world. 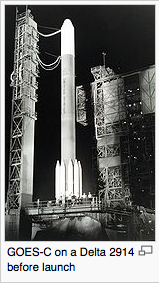 SSL was an early supplier of high capacity direct-broadcast satellites, beginning with the first use of a 100 Volt satellite bus on DIRECTV 6 (Tempo-2) in 1997. SSL’s high power leadership is demonstrated by nine 20-kW class spacecraft launched since 2008, starting with EchoStar XI. SSL also introduced such innovations as the first Ka-Band satellite, ETS-II (Kiku-2) in 1977, 3-axis control and the first contiguous band output multiplexers on Intelsat V in 1980, shaped antenna reflectors on Superbird 1A in 1989, Ground Based Beam Forming on ICO GEO 1 in 2008, and Hall Effect electric propulsion on MBSAT in 2004. With 2,000 satellite years on orbit and its legacy of leadership, SSL continues to support its customers with innovation, heritage, performance, and reliability. For more information, visit.